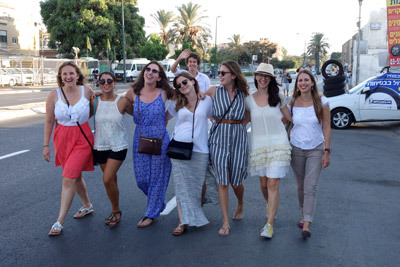 A little less than a month ago, I took a leap of faith and moved to Israel to participate in a 10-month volunteer/internship program called Tikkun Olam in Tel Aviv-Yaffo. The program gives me the extraordinary opportunity to intern for local non-profits and live alongside the communities my workplace serves. I also have the opportunity to do something I've never done before: celebrate the Jewish holidays in a country full of Jews; to pray and laugh and eat in a community where Judaism is actually mainstream. But to my disappointment, my first holidays in Israel, Shabbat and Rosh Hashanah, didn't feel all that different from any other weekday. There were fewer busses and most of the shops in my area were closed, but beyond that it was just an ordinary day. If you weren't familiar with the usual commercial traffic patterns of Tel Aviv, you'd never know that anything was different. As a result, I took my ulpan teacher's promise that Yom Kippur would be "unlike anything I had ever experienced before" with a grain of salt. It turned out that his promise was good. Set apart from all other Jewish holidays, Yom Kippur -- the Day of Atonement -- brings all daily activity in Israel to a grinding halt. From sunset to sunset on this holy day, all businesses, schools and streets closed, causing even sleepless cities like Tel Aviv to grow quiet for a little while. But as night fell on Erev Yom Kippur, the country's atmosphere of quiet contemplation gave way to waves of joyous sound as people filed out from their synagogues and homes and filled the streets. Children whizzed by on bicycles while their parents strolled arm in arm up the boulevard. Friends and neighbors all dressed in white met with kisses on cheeks and eager embraces. Bus stops and street corners became community living rooms, complete with cheerful old men stretched out on plastic lawn furniture, and traffic signals blinked comically unnoticed in the distance. Only when the approaching sun lent a bit of color to the sky did the people return to bed. Even I, a passionate sleeper, stayed up late to listen to soak up the musical chatter in the streets. How could I sleep when the world felt so alive? What if I went to sleep and the whole night turned out to be a dream? But it wasn't a dream. 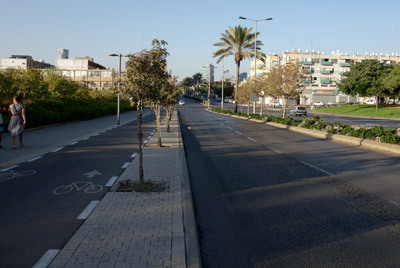 Early the next morning the streets back came to life with shul-goers and cyclists in a fusion of old and new that only Israel could support. I became a part of that fusion on my way to Torah study when my neighbor's grandchildren challenged me to a bicycle race -- an invitation that, of course, I accepted. 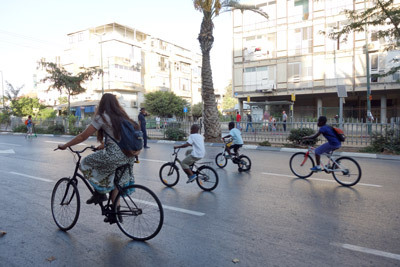 On our bikes we flew up and down the carless streets of Tel Aviv dodging teens playing soccer near the entrance ramps to Israel's empty expressways. After class, I made my way home to help prepare food for the break-fast with my roommates. As I biked through my neighborhood, the smell of spiced meat and baking bread filled the air as other families prepared too. The chefs occasionally looked up from their work to shout holiday greetings to passersby from their open windows. As night fell, my roommates and I made our way to the Sephardic synagogue a few blocks from our apartment. We were obviously late for the evening service as by this point in the evening no one was left on the streets. When we arrived at the synagogue, it was standing-room only, but somehow, the ladies in the women's section made room for us. They slapped siddurs in our hands already opened to the right page in the service. Every so often, the same ladies would peek over their shoulder to make sure we hadn't lost our place. Before long, shofars bellowed out from all corners of the city and just like that Yom Kippur was over -- or so we thought. But it turned out that the communal spirit of Yom Kippur wasn't done with us just yet. As my friends and I shuffled out of the synagogue we were stopped multiple times by women of the congregation who wanted to make sure that we had somewhere to go for dinner. In fact, even after explaining that we had food prepared at home, our doorbell still rang that evening with smiling neighbors holding out pots of food for us to taste. 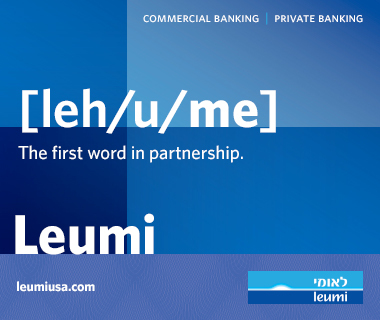 It turned out that my ulpan teacher was right. But at the end of the day, the parts I will remember the most about this Yom Kippur are not the carless streets or the closed up shops. Instead they will be the people I met and the kindness they showed me on what happened Judaism's holiest day. But it is a kindness that I know will last and remain special any old day of the week.